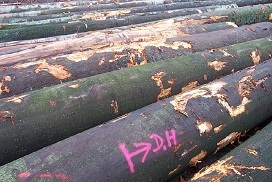 Specially selected to suit individual clients demands, we supply every conceivable grade, specification and species mix of European Hardwood logs. We can tailor specifications – in particular lengths – and grade mixes to suit individual client demands. Shipments are normally made via lorry (within Europe) or 40’ containers for our ‘long haul’ clients.